Americus City Hall is located at 101 West Lamar Street, Americus, GA 31709; phone: 229-924-4411. Photo: William Webb Farm House, ca. 1903, Georgia Highway 3, Sumter County, GA. Listed on the National Register of Historic Places in 1973. 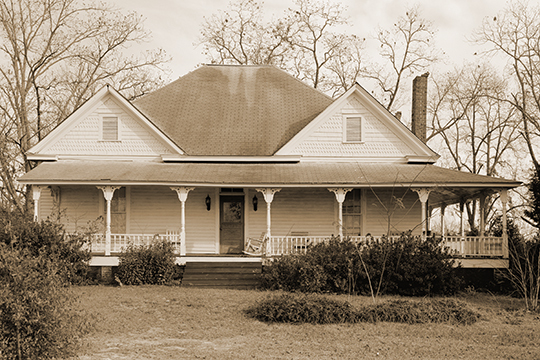 Historic American Buildings Survey, Donnie Richardson, Photographer, 2005, [HABS GA-20-A], memory.loc.gov, accessed October, 2015. Americus was incorporated in 1832 and designated as the county seat of Sumter County. The town was named from a lottery drawing in which the town's commissioners submitted names.